A Blaze of Red, originally uploaded by [Zakkaliciousness]. What a cool bike moment to capture, methinks. 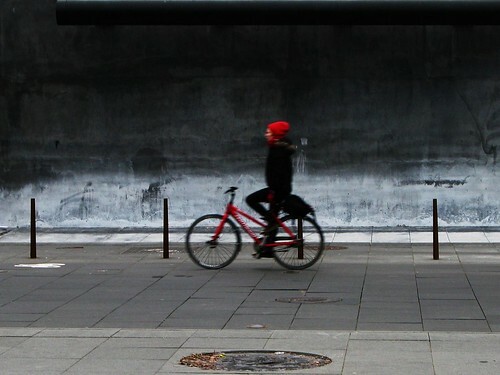 The amorphous, Rothkoesque backround with the floating imagery of the cyclist, manholes, etc. bring Joan Miro to mind. Beautiful photo, as always!